Our new bilingual website with a Swedish and an English version was finished. Our new website with a smarter design was finished. 21-22 August 2014, Östgötatextil was at the Swedish Embassy in Helsinki together with a delegation from the County Administrative Board, Visit Östergötland and a number of representatives from the business and cultural life in the county, all with the task of marketing Östergötland. Ulla-Karin Hellsten (Östergötlands Ullspinneri), Marie Kling (Kling Kollektion) and Carin Peterson (Carin Peterson Design) represented the network. 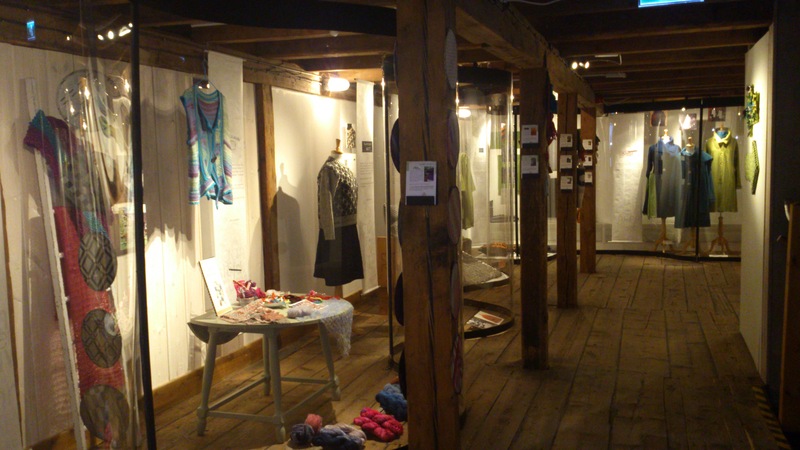 During 2014 there was an Ellen Key-year in the county, and Östgötatextil was invited to do a summer exhibition at Vadstena Slott with Ellen Key as the theme. Inauguration speech was made by Thomas Klüft, the cultural head of Vadstena municipality. Click HERE to see more pictures from the exhibition and from activities related to the exhibition. 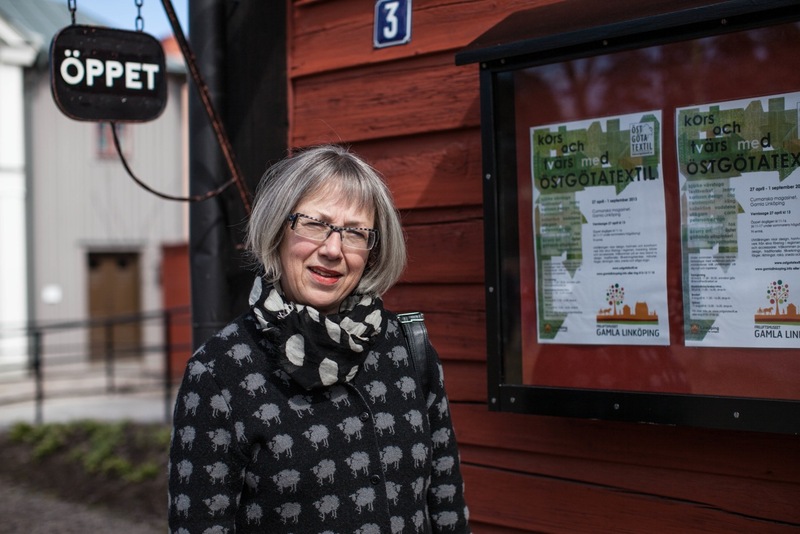 Ulla-Karin Hellsten from Östergötlands Ullspinneri is appointed honorary doctorate at Linköping University under the Faculty of Philosophy. Click on the movie clip next to this to watch a film about the promotion made by Linköping University. Ulla-Karin is present after 8.44 minutes. 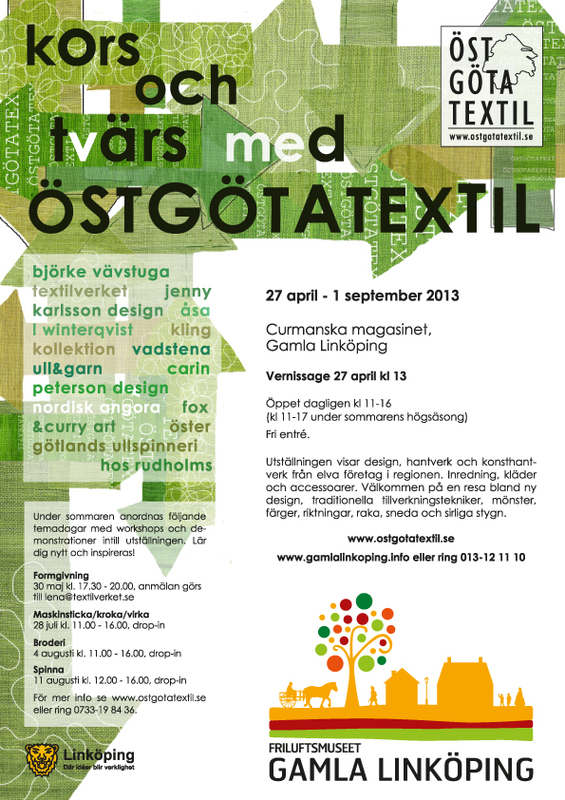 During the summer 2013, Östgötatextil showed the exhibition Kors och tvärs med Östgötatextil at the Curmanska Gården in Gamla Linköping. It was inaugurated by the designer and entrepreneur Anne Elmdahl and became a well-attended exhibition. Click on the slideshow to see the pictures in a larger format! From 2 June to 2 September 2012, Östgötatextil has shown the exhibition Stil, skvaller och gamla filmstjärnor (in English "Style, gossip and old movie stars") in Kyrksalen at Löfstad Slott just outside Norrköping. It was the network's first joint exhibition and it featured us as creators and entrepreneurs. Except to see textile products and artwork made in as many techniques as exhibitors, visitors could read some gossip. Here you can watch pictures from the exhibition! Click on the slideshow to see it in a larger format.